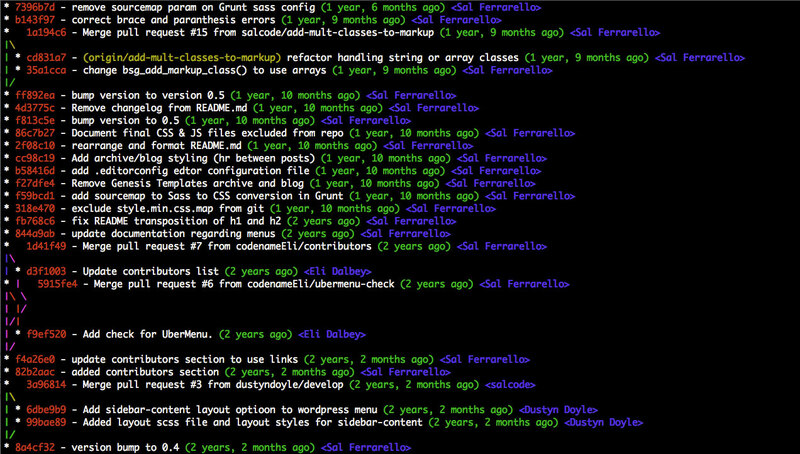 I use Git a lot and by default git log is not very helpful. Git log has a lot of optional parameters, which can make the output much more useful. 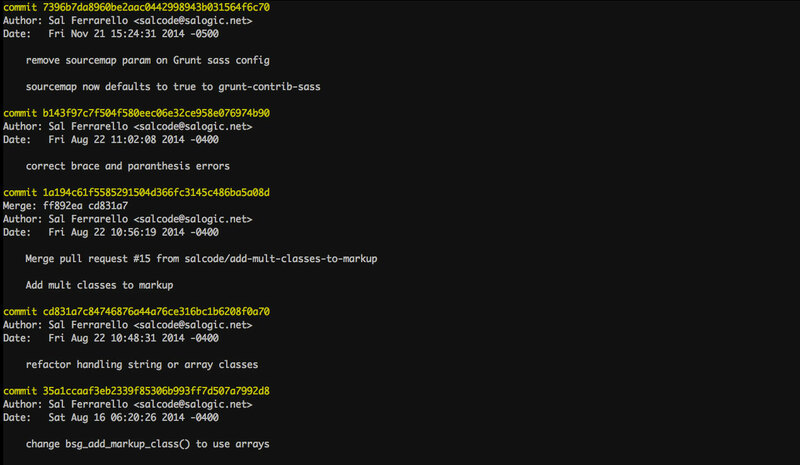 Using a combination of command line parameters, the git log output becomes beautiful and infinitely more useful. git: ‘lg’ is not a git command. 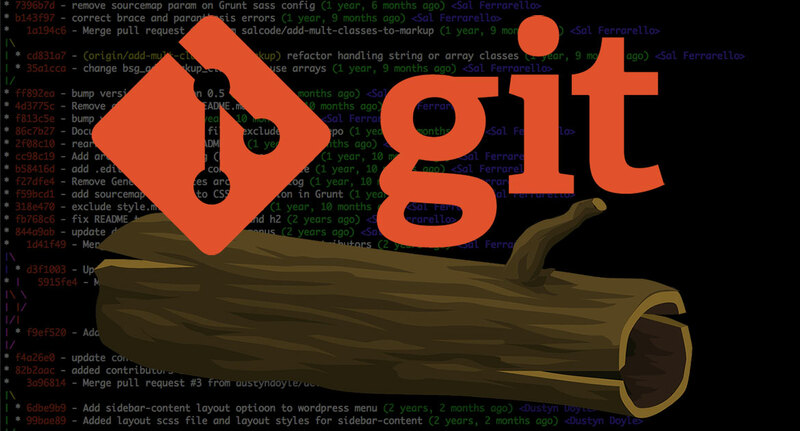 See ‘git –help’. git config --global alias.lg "log --color --graph --pretty=format:'%Cred%h%Creset -%C(yellow)%d%Creset %s %Cgreen(%cr) %C(bold blue)<%an>%Creset'"
Now, every time we want the improved git log, we can type git lg. The git config --global line above writes this new alias to your .gitconfig file (which is found at ~/.gitconfig on a Mac). you forgot an ending double quote on your last code snippet. Thank you for catching the missing closing double quote. I’ve now added it.